As a digital advertiser, chances are you use a minimum of five different software programs every day to do your job. Not only is it a pain to learn new software, but keeping up-to-date on new features as they launch is a challenge. It’s even tougher still to train new team members on that same software and be confident you’re covering all the important features. 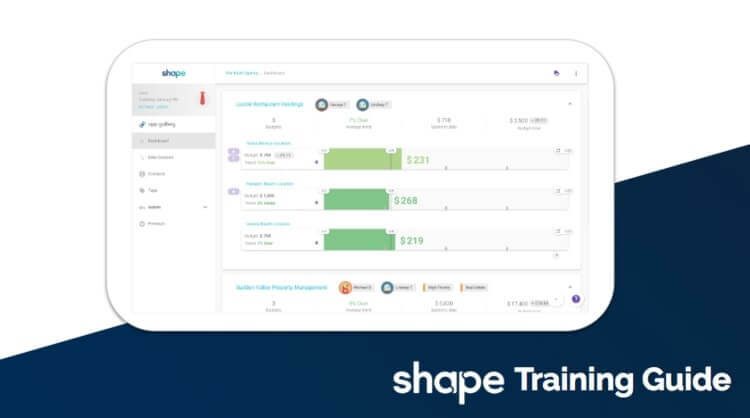 That’s why we created an extensive training document for the Shape platform. We cover our platform from top to bottom with detailed walkthroughs, examples, and more. Deep dive into every nook of the platform or jump directly to information on a specific tool. As Shape's functionality changes, we’ll update the document so you and your team can be confident that you have the most recent information on the platform. P.S. Have your own unique processes for using the Shape platform? Copy and tweak the training guide to make it specific to your team. Just make sure to update it when new versions are released!